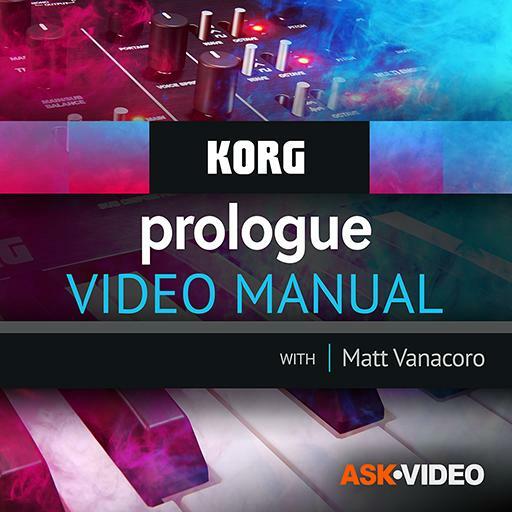 Korg Prologue 101 - Korg Prologue Video Manual. The master volume control also controls the synth’s headphone volume. True or false? The Prologue has 1/8 input and output for synchronizing with the Volca series. True or false? What element can help you add a ‘thicker’ and ‘detuned’ aspect to your lead sound? Which is an example of a ‘modulation effect’? Many of the functions you can adjust on the panel with dials/switches can also be set in program edit mode. True or false? What is a practical effect will LF comp help you achieve in sound design? Favorites and set lists are the exact same thing. True or false? The arpeggiator can only be activated for both main and sub timbre together. True or false? Preset manager is the same software that allows you to load in customized oscillators and effects. True or false? The knobs on the panel of the Prologue can be ‘linked’ to control both main and sub timbre. True or false? Which element can help you slow down the amount of time between when you hit a key and when you hear sound? Which element of the filter gives a slight ‘bump’ at a specific frequency to accent the falloff? What mode lets you assign elements for the control pedal to modify? What elements of delay and reverb are controllable by knob? Which element typically comes first in the subtractive synthesis signal flow chain? What 2 other modes can VCO 2 engage with regards to its relationship with VCO 1? VCO 2 must have the same waveform shape as VCO 1. True or false? In mono voice mode, turning the ‘voice mode depth’ (or adjusting it in program edit mode) will do what? Is the Korg Prologue a stereo or mono output synth? In chord voice mode, turning the ‘voice mode depth’ (or adjusting it in program edit mode) will do what? What knob allows you to rotate through the preset sounds? The multi engine can be used to generate noise or as a customized oscillator. True or false? User oscillators can be loaded via a USB memory stick. True or false? What element of the filter can be modulated? What element can you add to an oscillator when it is in Mono mode that is helpful to designing bass sounds?